Guido Groeseneken has been dedicated to tackling the most critical reliability issues facing the continued scaling of semiconductors to help enable today’s smaller, more powerful, and more efficient electronics. He developed the charge pumping technique, which quickly became a powerful method for the characterization of metal-oxide semiconductor field-effect transistor (MOSFET) devices. He used the technique to better understand hot-carrier injection, which allowed the semiconductor industry to optimize technologies to achieve longer lifetimes. He and his team developed the percolation model to explain time-dependent dielectric breakdown, identified transient charging effects as a limitation to the commercialization of high-k dielectrics, and developed a measurement method to quantify these effects. 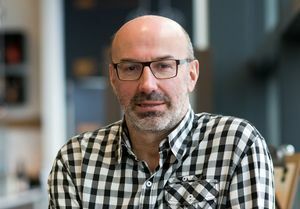 His work has facilitated the development of very thin, high-k materials important to the further miniaturization of micro- and nanoelectronic devices. An IEEE Fellow, Groeseneken is a Research Fellow with IMEC and professor with the KU Leuven, Belgium. This page was last edited on 25 April 2018, at 16:17.